if yes, this post will summarize it in an easy to understand way. Homeopaths use a process called REPERTORIZATION through which they gather the symptoms (technically known as RUBRICS) of the patient. Once enough representative symptoms have been gathered, they then find out the REMEDIES which have those symptoms. The remedy which contains the most representative symptoms of the patient is the correct remedy. Finding the representative symptoms is what makes a homeopath a MASTER and this is what makes practicing homeopathy difficult. That’s why we have developed the SRF (Smart Remedy Finder) so that everyone, even homeopaths, can find the right remedy within minutes. Once the correct remedy is found, the Homeopaths use a confirmatory test to see if the remedy is CORRECT. This confirmation is done by checking the MODALITY of the illness. MODALITY is what makes the illness better and what makes it worse. If it is same as the remedy selected, then the remedy is right. Assuming you are using the SRF for Sore Throat. When the SRF finds out your remedies, you can open the Materia Medica and go to the name of the first remedy. Read about the MODALITY of that remedy & compare it with your illness i.e. what makes your illness BETTER or WORSE. In your case, assuming your throat feels BETTER with WARM DRINKS and overall you feel BETTER with WARMTH and you feel WORSE with COLD DRINKS. If the first remedy is ARSENICUM ALBUM, you read it’s MODALITY and see that the main complaint (sore throat in your case) gets BETTER with WARM DRINKS and you feel better with WARMTH. Since the MODALITY fits your complaint, then it is your remedy. If not, read about the next remedy and so on, till you find the one which fits your symptoms. 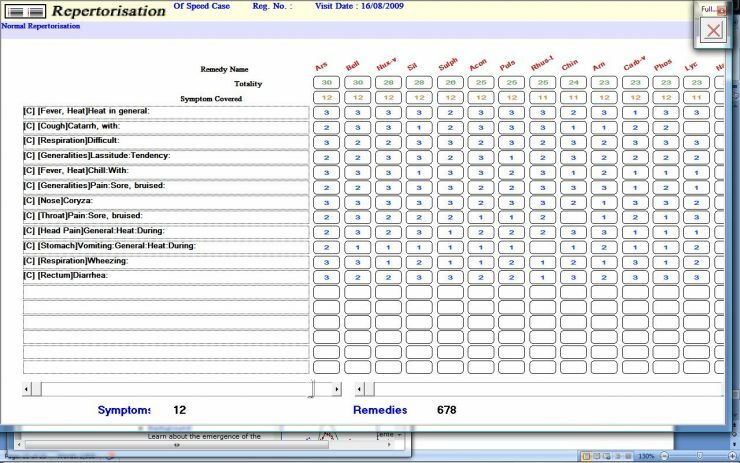 Remember, there are over 2500 remedies and finding the right one is not easy. This article tries to make understanding the whole process simpler but in no way will it make you a homeopath! Sooner or later you will run into the most common problem all novices face i.e. almost all remedies start looking to fit your case. At that stage, it is best to consult a homeopath instead of trial & error. Doing trial & error for Acute problems e.g. Cold/Flu is fine as long as you use potencies of 30 or lower and don’t use more than 2 doses for the same remedy. This will help you learn & manage day to day issues without much help from anyone. If problems keep coming back then you definitely need constitutional treatment with the help of a homeopath.